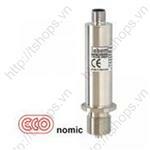 The pressure transmitter COMPACT ECOnomic is suited for measuring the relative and absolute pressures of gases, vapors and liquids. The device converts pressure measurements into a load-independent current signal. 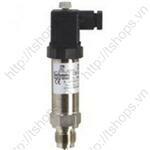 Because of their robust design these transmitters are suitable for use in tough environments. 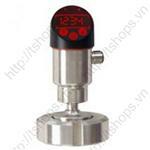 The process temperature is allowed up to 140 °C (short term). 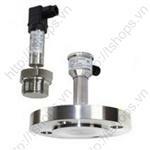 The flush mounted diaphragm allows dead-zone free measuring. 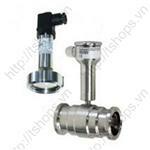 The transmitters have extensive circuitry which ensures electromagnetic compatibility. The pressure transmitter COMPACT acts as a highly accurate converter of pressure measurements to load-independent current signals (4…20 mA, for example). Special attention has been given to a hygienic design.The completely welded stainless steel housing can be designed up to protection type IP 67. The use of temperature decouplers means that the COMPACT pressure transmitter can be used for process temperatures up to 200 °C. The pressure transmitter COMPACT acts as a highly accurate converter of pressure measurements to load-independent current signals. Because of various variants of process connections and materials these transmitters are especially suited for pressure measurement with aggressive, highly viscous, solidifying or crystallizing media.The completely welded stainless steel housing can be designed up to protection type IP 67. The use of temperature decouplers means that the COMPACT pressure transmitter can be used for process temperatures up to 200 °C. A mechanical safety pattern gauge with local indication and an integral electronic angle-of-rotation sensor for the electronic transmission of pressure values. 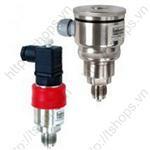 The pressure transmitter is suited for measuring the relative and absolute pressures of gases, vapors and liquids. 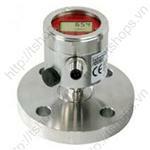 The analog pressure transmitter UNIVERSAL is suited for measuring the relative and absolute pressure of gases, vapors and liquids. 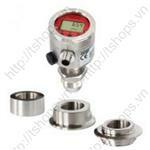 The area of application lies in general process measurement technology. There are two different designs of housings available: standard housing with right angle plug or stainless steel field housing for use in tough environments. 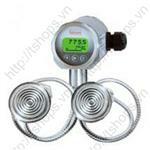 The integrated pressure system does not contain any liquids and is therefore suitable for dry measurements, e.g. for oxygen. 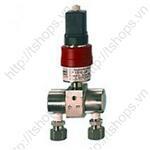 The analog pressure transmitter UNIVERSAL is suited for relative and absolute pressure measurement. Because of the reduced inner volume of the pressure chamber the transmitter is especially suited for connection to diaphragm seals. The diaphragm seal can be connected directly, via a capillary or via a temperature decoupler. For further information see diaphragm seal data sheets D5. PASCAL DELTA P has been specially designed for process connections with diaphragm seals. Working/dead volumes have been significantly reduced; you may thus use diaphragms with minimal nominal sizes at low process pressures; any ensuing temperature errors are very slight. 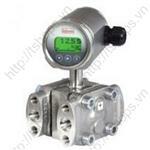 PASCAL DELTA P is an intelligent, microprocessor-based, 2-wire pressure transmitter that is very user friendly. An integrated graphics display with text-oriented, menu-driven user guidance allows you to assign parameters in a fast and easy manner. You can make all settings with the three buttons on the transmitter. The device offers you another important benefit: you can choose your measuring range and trim without having to remove the device. You can select a bar graph or percentage value read-out as well as the measured-value display. You also have the possibility of displaying the output current. A choice of menus allows you to enter and call up different parameters and operating states. 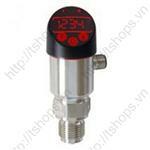 The analog pressure transmitter UNIVERSAL is suited for measuring the differential pressure of gases. 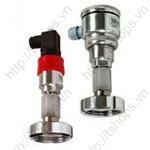 The area of application lies in general filter monitoring. The pressure transmitter UNIVERSAL CA is suited for measuring gauge pressure and absolute pressure of gases, vapors and liquids, especially for hygienic applications. 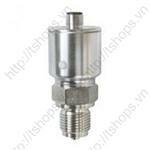 The pressure transmitter UNIVERSAL CA is suited for measuring gauge pressure and absolute pressure of gases, vapors and liquids. 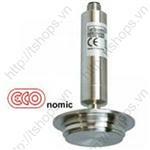 The pressure transmitter/pressure switch PASCAL CS is suited for measuring the relative and absolute pressures of gases, vapors and liquids. 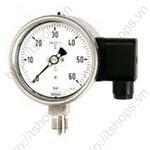 The multifunctional PASCAL CS displays the measurement; outputs a current signal proportional to the pressure. It has two optional contacts. The modular pressure transmitter PASCAL CV is suited for measuring the relative and absolute pressures of gases, vapors and liquids. The diaphragm seal with flange connection is applicable for pressure measurement with aggressive, highly viscous, solidifying or crystallizing media. The modular pressure transmitter PASCAL CV is suited for measuring the relative and absolute pressures of gases, vapors and liquids. The use of a HYGIENIC process adapter allows the device to be deployed in a variety of processes. 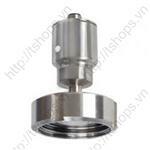 The design based on module technology/variable adapter means lower inventories over the longer term.